Apart from Google, there’s no other Android OEM that promises more than two years of software updates, however, Samsung wants to break this monotony starting with the Galaxy Note 8. The South Korean tech giant has unveiled a new variant of the flagship Samsung Galaxy Note 8 in the U.S. and with it comes a good number of unique features compared to the standard Note 8. 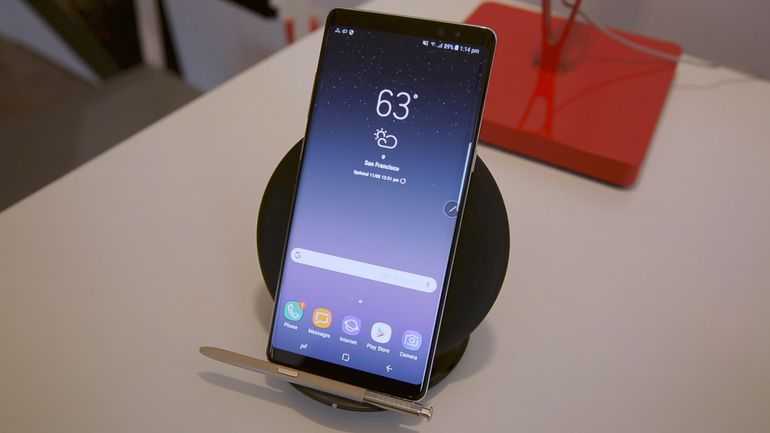 Dubbed the Enterprise Edition, this variant of the Note 8 targets the business class with an enhanced security suite and customized software alongside other business-focused features. At a premium price tag of $994, these features might not seem enough to make this phone special, but the Galaxy Note 8 Enterprise Edition has more to offer compared to the regular Note 8. According to Samsung, this edition of the phablet will offer users “PC-class” support, which basically means the phone will receive three years of guaranteed software updates. As pointed out, Google is the best when it comes to rolling out Android software updates. The company already guarantees three years of Android security updates alongside two years of Android OS updates for the Nexuses and OG Pixels. However, those on the new Pixel 2 phones will get three years of OS upgrades as well. As for the Galaxy Note 8 Enterprise Edition, Samsung only guarantees three years of security updates and not Android OS updates. Although a little disappointing for a device that costs $1000, it’s definitely a good step ahead for Samsung. The only thing that tends to keep some people off Samsung phones is the guaranteed software updates, but with this move, it wouldn’t surprise us if the company decided to extend the same to the rest of its flagship lineup. It’s not the first time we’ve seen Samsung introduce new features with the Galaxy Note series. Who knows, this could just be one of them, but for now, your guess is as good as ours. With PC-class support, it also means that the Galaxy Note 8 Enterprise Edition will be available for purchase by companies for a period of two years from availability. IT admins will also be given access to the company’s Knox Configure and Enterprise Firmware Over the Air (E-FOTA) for purposes of remote updates and security control. Even though the Galaxy Note 8 Enterprise Edition is $44 more expensive than the regular Note 8, you still get the same hardware configuration.